Short answer: you can’t. Which is why different communities with different values need to live in different areas. 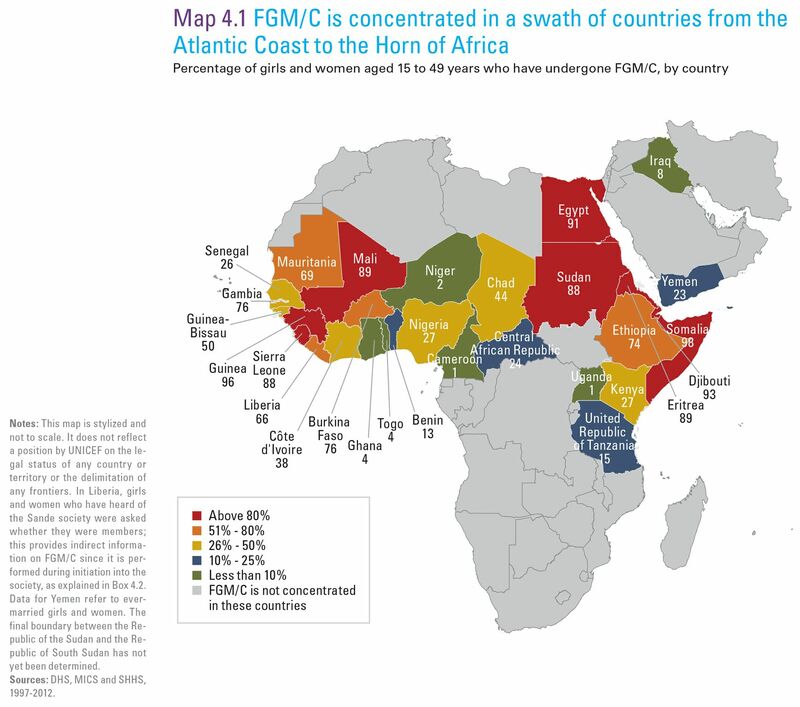 Female genital mutilation is a common practice in the Muslim world (especially in Somalia, where many of the new ‘migrants’ to Minnesota are coming from), and no amount of “empowering” of the community is likely to change that. Since values are so difficult to change, you’re left with changing external behavior — and thus the need for Big Brother. Don’t think for a moment our nation’s elites aren’t aware of that. How better to grow government than as the arbiter of incompatible cultures? The fact there is newsworthy opposition to this bill (which normally would be a shoe-in under the “it’s for the children” and “grrrrl power” rules of politics) shows how much alien influence already exists in our land. Does anyone think it gets better from here? And imprison or deport their domestic enablers. I’m but one of a chorus of voices over the last several years warning of the rising tides breaking down American society. Even with eight-plus years of doing this, I have to say that as I look around me these days, it is difficult to want to comment. I believe the tipping point is in the rear view mirror, and what lies ahead is merely the consequences of our failure to confront issues long before now. These may take a little time still to fully manifest, but there is no longer any question they’re coming. This assessment (along with a ridiculously crowded personal to-do list of late) has contributed to a slowing down in posts to this site. At some point even those of us who care deeply about this land have to pose the infamous question “what difference, at this point, does it make?” As passionate as I am about the principles on which this venture was successfully founded, I realize I’m just a “voice in the wilderness,” and there are few who want to listen. Those who can read the signs and portents have done so, and are doing whatever due diligence they believe appropriate. In the case of some close relatives, I’ve recently learned that includes emigrating to another country. For good. I’ve done research on what the options might be if the Musketeers, their Mom and I felt we had to leave. And I’ve been aware in recent years there are a growing number of Americans who are saying goodbye to Uncle Sam–not only emigrating but renouncing their citizenship as a personal declaration of independence. With this recent revelation, that’s no longer an abstract concept. It’s difficult to describe the sadness of realizing where we are as a society. Geographically, there is still a country called “the United States.” The nation of “America,” however, is all but dead, carved deliberately into competing factions whose collective rejection of the founding principles of limited government, personal liberty/responsibility and the rule of law only serves the puppetmasters in the boardrooms and the Beltway. For those who have “eyes to see,” the future is here: lawlessness, decay and the increasingly heavy lash of the State. We have forgotten the lessons of history, and if you think college tuition is out of control wait till you see the cost of this remedial course. As the nation enters its death throes, is it any surprise the vultures have descended en masse? The word is out around the world: the defenses are down, and now is the time to come pick the carcass, before there is nothing left. Our leaders seem only too eager to encourage that, as it benefits them politically. Even for a Monday, this is a somber reflection. But it is borne of grief, not despair. This is when an eternal perspective makes all the difference. Nations rise and fall, and have done so throughout history. Truth, however, and the principles that derive from it, endure. They may be lost for a time to abandonment or neglect, but they remain nonetheless. Generations may suffer for ignorance of them, but they are always there to be reclaimed and reapplied by those willing to acknowledge their authority. But first, as the name of this site conveys, one has to admit one is on a wrong road before one can switch to the correct one. Regardless whether a nation does this or not, every individual retains this choice — and the promise that repentance will be honored. Is there anything more amusing than watching self-professed ‘radical communists’ fight over who owns the copyright(!) to the English translation of the collected works of Marx and Engels (a work originally bankrolled by the Soviet Union, an entity that no longer exists)? And it wasn’t lost on the archive’s supporters that the deadline for complying with the order came on the eve of May 1, International Workers’ Day. Michigan Gov. Rick Snyder asked the federal government Thursday to set aside thousands of work visas for bankrupt Detroit, a bid to revive the decaying city by attracting talented immigrants who are willing to move there and stay for five years. “Let’s send a message to the entire world: Detroit, Michigan, is open to the world,” Snyder said at a news conference. And apparently, China is buying. Wonder where they found the ideological blueprint in Das Capital for that move… or did Lawrence & Wishart’s legal takedown prevent them from consulting it? The old saying used to be that the capitalists would sell the communists the rope they used to hang them. Now it appears the ‘capitalists’ have given way to debt-fueled corporatism in the West, giving Eastasia an opportunity to just buy out(!) Oceania.